American locomotive manufacturer Progress Rail has agreed to buy the rail freight division of Australian firm Downer for $109 million. Downer has 15 maintenance facilities in Australia and provides a full suite of rolling stock, aftermarket parts and services. The acquisition will further complement Progress Rail’s rolling stock services portfolio and strengthen its footprint in Australia. Progress Rail president and CEO Billy Ainsworth said: “This acquisition allows Progress Rail to directly serve rail customers in Australia with best-in-class products and services. The deal is the next chapter in a long relationship between the two companies which stretches back 70 years. Historically, Progress Rail has sold Electro-Motive Diesel (EMD) locomotive component kits to Downer, from which Downer created its own locomotives for use in Australia. 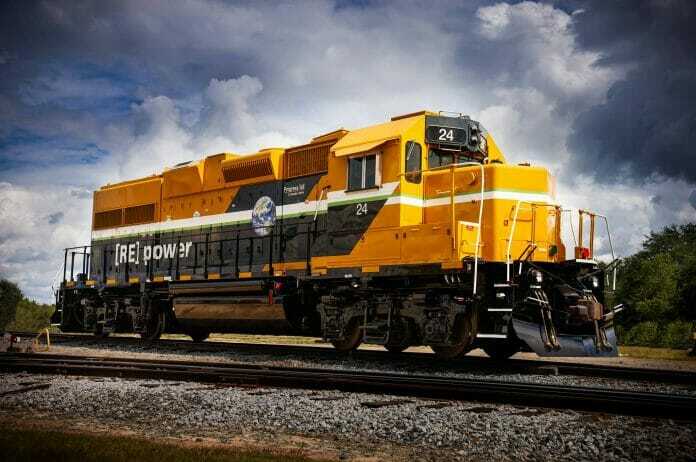 Recently the companies collaborated on developing EMD freight locomotives for use in Australia. The acquisition is expected to be finalised in January, 2018. Downer’s rail freight division employs around 360 members of staff, who are expected to transfer to Progress Rail as part of the deal. Crucially the deal does not cover Downer’s passenger rail division. This includes vehicle maintenance contracts and public transport operations, such as the joint venture with Keolis which operates the Yarra Trams franchise in Melbourne and G:Link on the Gold Coast. Downer CEO Grant Fenn said its rail business is very well placed to drive reliable and safe services to the fast-growing, dynamic public transport sector, referring to such projects as Parramatta Light Rail and the new regional fleetfor New South Wales. He added: “Downer is Australia’s leading provider of passenger rolling stock asset management services. “We are currently working with CRRC to deliver more high quality passenger trains in Sydney, through the Sydney Growth Trains project, and Melbourne, through the High Capacity Metro Trains project. Progress Rail, which also supplies other rail and transit products and services, has been a subsidiary of Caterpillar since 2006. It acquired fellow locomotive manufacturer EMD in 2010. The facility will become TMH's only production site in Africa. It will be used to assemble, maintain and refurbish diesel and electric locomotives as well as coaches for South Africa and the rest of the continent.